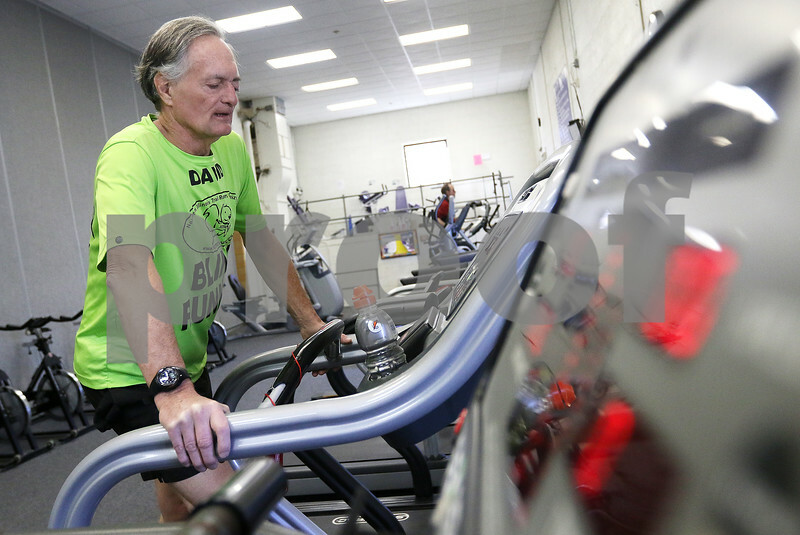 Blind runner David Kuhn of DeKalb runs on a treadmill on Friday, February 3, 2017 at the Haish Gym DeKalb. Kuhn, a competitive triathlete, began losing his vision after an automobile accident involving a drunk driver in 1981. He uses the same treadmill each time he runs, preferring this one for the raised buttons on the interface.